Refinish with Bona Mega. 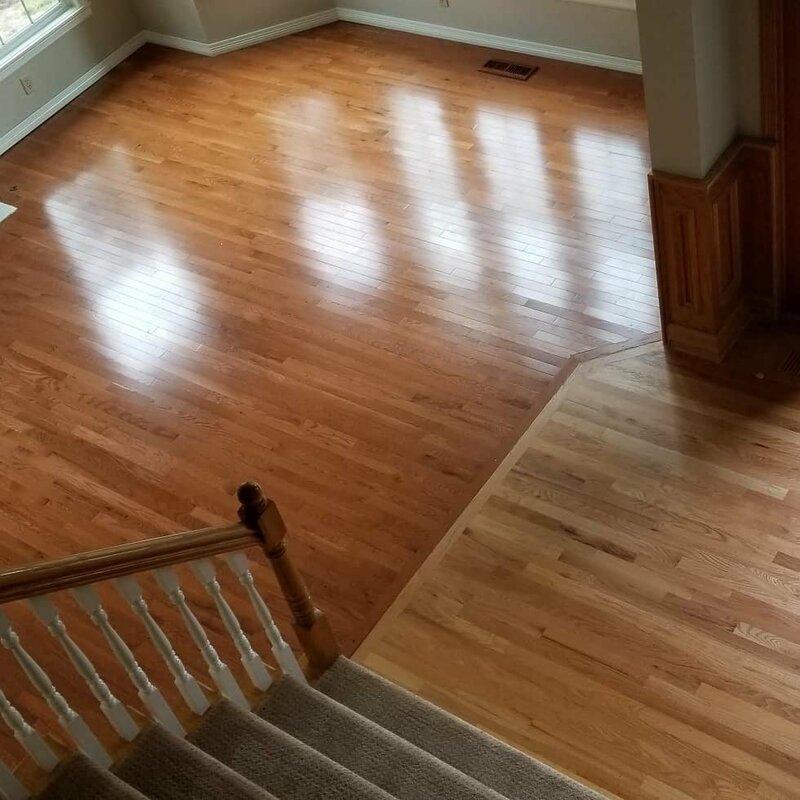 One seal coat and two top coats Bona Mega - 4.50 per square foot. *Square foot pricing contingent upon 400 square foot minimum. Areas below square foot minimum incur minimum square foot pricing. Free phone consultation. We encourage clients to text photos direct to our phone # to facilitate the conversation. Fill floors throughout with wood grain filler. Sand using five grit dustless sanding series. Apply three coats water based polyurethane. Vacuum all horizontal surfaces in work area. Perform final walk through with client. 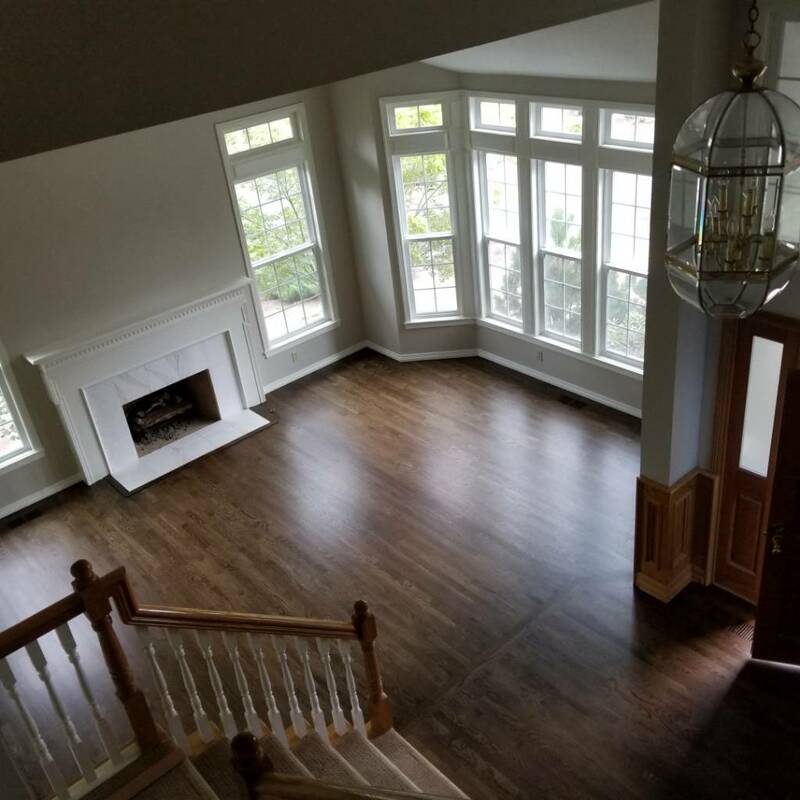 Cottonwood Finishes, LLC is a hardwood floor contractor that has been serving Portland, Beaverton, Tigard, Gresham, Tualatin and surrounding areas since 2005. Our license number is CCB # 195825. We take great pride in our zero complaint record with the Oregon Construction Contractor's Board. You can and should check out every contractor who works on your real estate at https://www.ccb.state.or.us/search/. Verify the contractor's license is active, insurance and bond are current and investigate claims history all in one place. Fill out a customer contact form here. Hours - At your convenience.